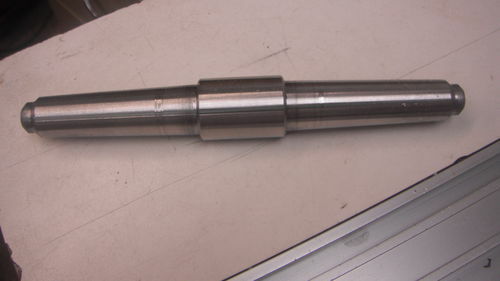 The Head Stock on this particular lathe is designed to rotate at varying degrees up to 180 degrees. One of the issues fellow Lumberjock William, A.K.A greasemonkeyredneck pointed out to me was keeping the head and tail stock in alignment. This issue is due in part, or perhaps in whole, because of the ability of the head to rotate. 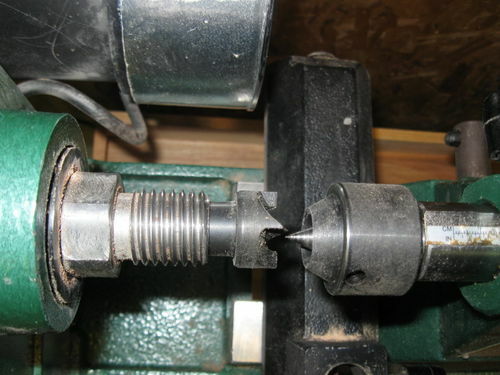 The next two photos illustrate how much misalignment is possible on my lathe. If the hold down lever isn’t tightened down with a lot of force I will have the same misalignment issues William told me about. Also, the lever is plastic and could break if enough force is applied. William told me that when he aligns the head stock he starts tightening the hold down lever with the head stock just clock wise of center. Once fully tightened it will move to center. I tried this and it works, thanks William. Thanks for this information Lee. 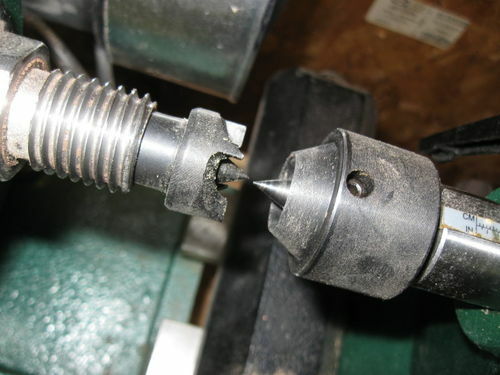 I’ve had the same issue with my Nova 3000 lathe. It’s head stock will also swing out, which is a great feature – but I have trouble getting it realigned with the tail stock. I may try the fix you use to get yours aligned. I also ordered this __NOVA 2MTNA Acruline 2MT Alignment Tool just received it today. It should make realignment easier. I’ll let you know. I have a Jet 1236 lathe which is the same as the Harbor Freight lathe right down to the same part numbers. I acquired this alignment tool made locally. It has a #2 morse taper on both ends. http://www.the-woodworking-source.com/ or you could try some of the turning catalogs. Packard woodworks has this tool. Might help. Helps to align the headstock and tailstock. How has the lathe been working out Lee? I was contemplating getting one of these and I thought of your post. The lathe is working out just fine for my needs. That being said, I am not heavy into wood turning. Since the HF head stock is capable of rotating in order to turn larger pieces I bought a double ended #2 morse taper alignment tool to check the alignment between the tail stock and head stock when returning the head stock back to its original position. 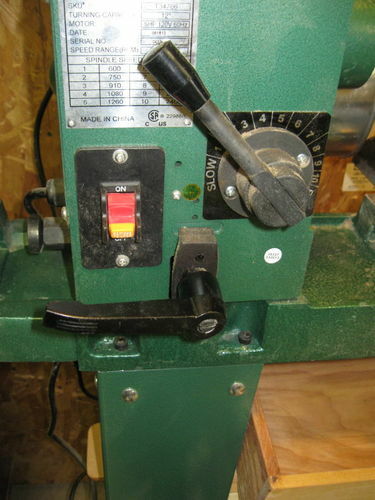 I think the lathe is a good deal for the money especially if you use a HF discount coupon. Thanks for the Tip. What chuck are you using for your bowls? Mauricio, I haven’t turned any bowls but I would probably mount the bowl blanks on a faceplate rather than in a chuck. Check out MLCS Woodworking when looking for chucks, router bits, etc. I have ordered from these folks for a while now and am pleased with their products. Another helpful himt. If you remove the plastic lock down handle a 15 mm socket fits over the tightening nut. I found that a ratchet is easier to lock down the headstock tight and it gave me more control over adjusting the headstock because I was torking it less to tighten. I’ll have to check mine for alignment. THanks for the post. 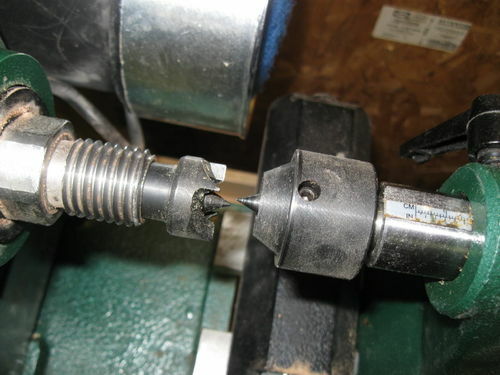 What jaw chuck does everyone use on the headstock? I’m looking for one so I can do rolling pins a little more easily. Pete, check Penn State Industries they have a pretty wide selection of chucks. I bought one of their less expensive chucks and it has worked fine for me. Thanks! I did go to Penn State and ordered up their chuck that has several different jaws and options, for about $100.